Actor Rajinikanth's next film Darbar is directed by AR Murugadoss, and produced by Subaskaran under the banner Lyca Productions. It has Anirudh composing the music, while Santosh Sivan will be wielding the camera in a Rajinikanth's film for the first time after Thalapathi which came out in 1991. The first look poster of the film released along with the title announcement yesterday, and the film will go on floors in Mumbai from today (April 10). 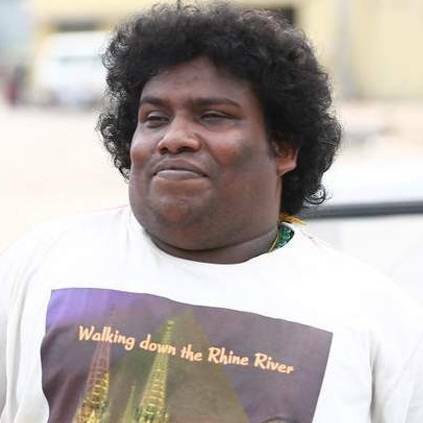 Sources closes to us have revealed that sensational comedian Yogi Babu will be playing a crucial role in the film. He has reportedly joined the sets in Mumbai today, and the team will be canning a few important sequences here. Darbar is Rajini's next film after Karthik Subbaraj's Petta that was produced by Kalanithi Maran. In addition to Rajini, it also had Vijay Sethupathi, Nawazuddin Siddiqui, Trisha, Simran, Sananth, Megha Akash, Bobby Simha and others as a part of its star cast. Darbar will be seen releasing for Pongal, making it Rajinikanth's 11th Pongal release. Meanwhile, this is AR Murugadoss' next film after Sarkar that had Vijay in the lead role. Stay tuned for more updates. People looking for online information on AR Murugadoss, Darbar, Lyca Productions, Nayanthara, Rajinikanth, Yogi Babu will find this news story useful.